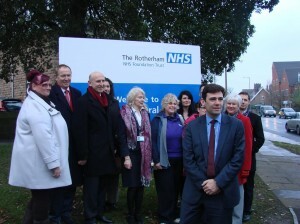 This Thursday (5th December) health workers, UNISON campaigners and politicians from Rotherham will make their way to Downing Street to deliver a petition signed by 2,500 local people concerned about the future of Rotherham Hospital. Since Rotherham Show we have asked people to show their support for the hospital as it faces an uncertain future. On Thursday, local MPs John Healey and Kevin Barron, Cllrs Emma Hoddinott and Brian Steele from Rotherham Council’s Health Scrutiny Committee, and staff and trade unionists from the hospital will take their message to the Prime Minister. 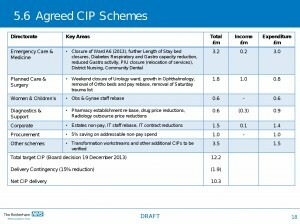 In October John Healey MP challenged the Health Secretary in Parliament over the way that Tory legislation promotes competition considerations over patient care and has publicly called for a hospital merger to be taken off the table.